One year after "Kintsugi" (BTLCHR 71235) and shortly after the double CD "Haydn" (BTLCHR 71237), a third CD by the Scott Fields String Feartet is being released on Between The Lines. Contrary to its direct predecessor, there is no explicit reference to classical composers anymore. Scott Fields' guitar also takes up more space, even though it is a special feature of "Feartet" that the ensemble playing is in the foreground. Despite all specifications with respect to the compositions and detailed arrangements, the leeway for improvising can be heard in all instruments all the time. Freely created lines of individual musicians cross almost unnoticed with the composed parts. Fields succeeds in creating a perfect symbiosis of both parts such as is seldom heard. The "master juggler between improvised jazz and new music" (jazzpodium, May 2014) presents six "comprovisation" on Mostly Stick, from which the majority also easily surpass the 10-minute limit. He titles them again with subtle humor: "Carolina Reaper" refers to the hottest chilli variety in the world, "Hello to Jason Isaacs" refers to the British actor who became know through Harry Potter films and "Schmatta" is a word from Yiddish which means "rags" (in the sense of inferior clothes) that has entered everyday speech in the USA. Scott Fields lives in Cologne today and is considered one of the most the distinguished crossover artists between improvised and composed contemporary music worldwide. As child in Chicago, a city characterized by its music, he has dedicated himself very productively to music for the past 20 years, despite university studies in the meantime and a Master's degree in journalism. He has developed his very own language with his guitar playing in the meantime, which never loses sight of melodic elements despite his stupendous virtuosity. Fields has also composed numerous works, which have been widely acclaimed and appreciated. Elisabeth Fügemann is one of the few cellists who has studied both classical and jazz cello. However, the music of Scott Fields (but also the title, which Axel Lindner contributed: Äpken) could hardly have been played adequately by musicians, who did not look beyond genre limits. This also applies to Axel Lindner, who plays alongside of Elisabeth Fügemann and Scott Fields in the "Multiple Joy(ce) Ensemble", i.e., they have already known each other and each other's skills for years. Radek Stawarz also moves securely in both worlds. Following classical studies in his native country Poland, he completed another degree at Cologne Music College, among others, under the tutelage of Bill Dobbins and John Taylor. In addition to classical ensembles, he plays in various groups from electropunk bands to folklore groups. 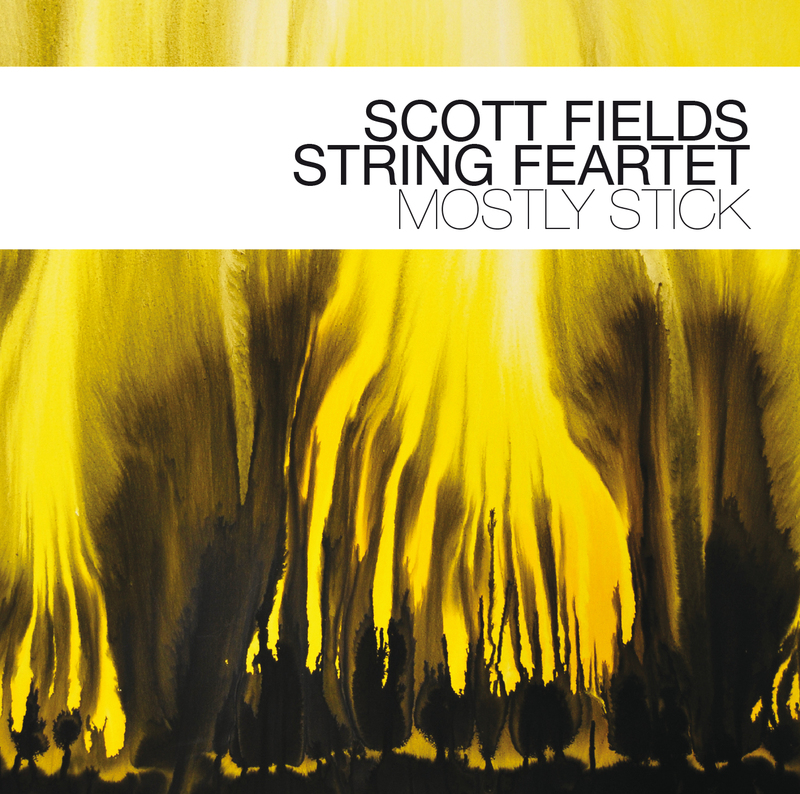 Scott Fields "is a master of refined strokes, a king. And his Feartet is a complete kingdom" (Alexander Schmitz in jazzpodium Oct. 2013). "Crazy stuff for those that appreciate right on, improvised, free jazz" (Chris Spector, Midwest Record). "The American shines with a dance-like ease and a beautiful swinging phrasing. (...) simply exciting, vivid music"
"On this release Field is again the fascinating, hypnotic, very sensitive and often underestimeted master"